Say hello to our friend Susan Shea: author, mystery booster, all-around bon vivant. It's always great to have you on the blog, Susan! First, thanks to one of my favorite authors, Sophie Littlefield, for offering me a chance to rub elbows with the fantastic writers on Pens Fatales. 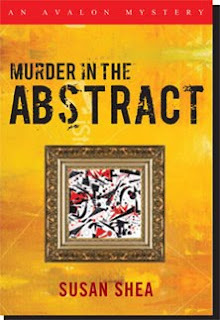 To say thanks to the blog readers for checking it out, I’m offering a signed hard cover copy of MURDER IN THE ABSTRACT, the first in a series of mysteries featuring Dani O’Rourke. Leave a comment on this post with an email address by July 22. We’ll throw all the responses in a hat and pick one entirely at random. Good luck! “Oops” sounds like dumb moves, and I could list some of my own, but that would be lengthy, tedious, and uncomfortable. In real life, mistakes frequently lead to unhappy consequences, everything from running out of gas on the freeway to finding yourself standing in a corner at a party because you realize that sweet salesperson was lying through her teeth when she assured you orange was your best color. In crime fiction, the stakes are often a lot higher. The protagonist doesn’t tell anyone she’s headed into the abandoned building in search of a man with a knife. The detective gets distracted by the obvious suspect and misses a vital clue to a serial killer. The petty crook gets dragged into a homicide by his stupider-than-dirt brother. Oops. Why does this happen? Why would a sane woman tiptoe up the stairs in a dark house where she’s just stumbled across a dead body? Because she heard footsteps? Is she crazy? Are we crazy to keep reading? Why do supposedly smart people do things that, in real life, no one would dream of doing? It’s a fair question for readers to ask, and one that can make us squirm as we’re writing our stories. The bottom line is, of course, we authors need the characters to precipitate action, to challenge the status quo, to ramp up suspense and confusion, and ultimately to lead us to the villain. If our protagonists merely dialed 911 and continued on to the grocery store or the movies, we wouldn’t sell a lot of books. But we have an obligation to answer the question of why as persuasively as we can, to create reasons that entice you, the reader, to suspend belief long enough to get caught up in the drama. I think it’s one of the hardest tricks to pull off and I salute those who do it well. I remember one of Sue Grafton’s masterful moments when Kinsey, running away from a bad guy, jumps into a trash can and pulls the lid down on her head. She has to crouch there, seemingly for ages, waiting for the agonizing possibility that the man saw her and will suddenly whip the lid off and beat her up. My heart was pounding and I couldn’t read fast enough. I never stopped to think, Why would a savvy private detective put herself in such a vulnerable position? Why not keep running until she found a tree or a gas station, some place where she might have an option to defend herself? Grafton did that magical thing – she seduced me entirely into suspending disbelief. 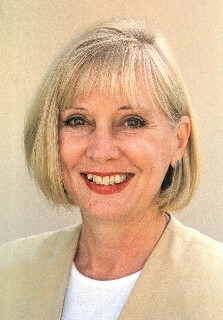 Susan C Shea is a former non-profit executive. MURDER IN THE ABSTRACT was her first mystery novel. THE KING'S JAR is the second in the series. She's active in Mystery Writers of America and Sisters in Crime and lives in northern California. You're right, the best writers DO do that, don't they? You're right along with them with that Oops moment (I remember that Kinsey scene vividly). Hi Susan!! Welcome to the Pens! I think fiction writers do have a hard job to make that oops moment believable. We go through a lot of mental gymnastics to come up with those motivations! :) Thanks for visiting. Hi Susan! So glad to have you here! Funny, I remember that Kinsey scene as well...amazing how she can write a scene that sticks in your mind like that. I would never hide in a garbage can, I'd never fit, but I could sure cram one of my characters in if they teed me off. Nice riff on suspension of belief. It's a thin line between an oops moment that makes your character fallible and relatable and making him Too Stupid To Live. But you're right, when it's done well you can't put the book down. Hi everyone, and thanks for reading my guest blog. I'm impressed that so many people remember that scene in Sue Grafton's book. Now, I have to go back and figure out which letter of the alphabet it was. I may be one of the only people in the English-speaking world to have not read the Grafton series yet, but it's on my to-be-read list. I look forward to discovering that scene in whichever book contains it. Thanks for giving me something more to look forward to! If I should be so fortunate as to win, you can let me know at cupcakencorset at gmail (you know the rest). The scene was in one the first ones--maybe the first one. I remember it well--and until I read your blog never even thought about what a crazy move it was. You're right. It's tough to make characters look clever instead of oopsy. Your blog really made me think. I have a partial thriller sitting in my computer, but afraid it maybe beyond the oops into the ridiculous now I can reevaluate. Your book looks really good and I'm always looking for new authors to read.